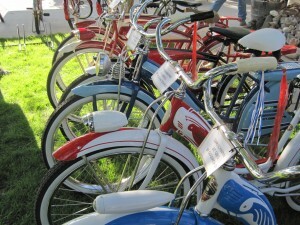 Last weekend my husband and I checked out the first annual Krawdaddy Vintage Bike Show and Swap Meet in Spanish Fork. 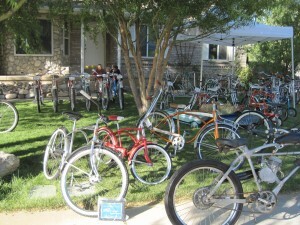 Although this new show was small and held in a front yard, it was a treasure trove of gorgeous vintage bicycles. 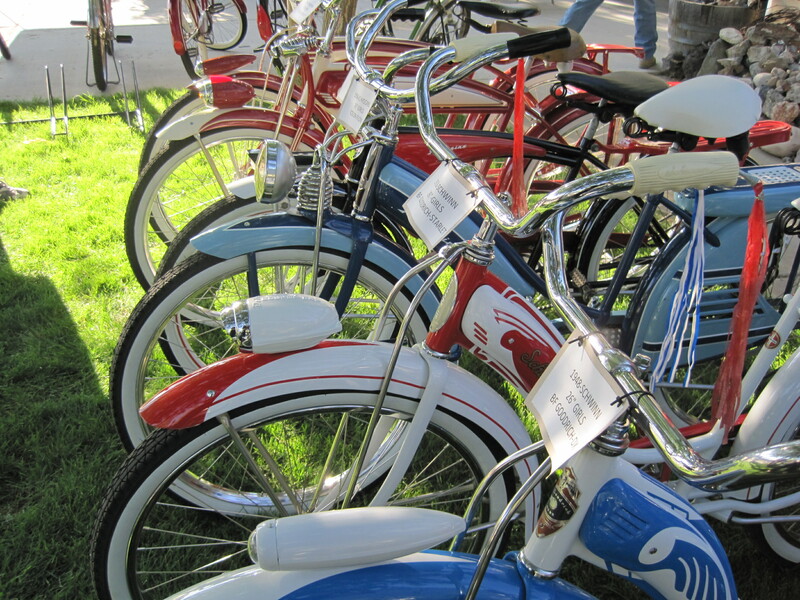 There was everything from re-painted cruisers to fully restored electric bikes. There were even child-sized pedal cars. 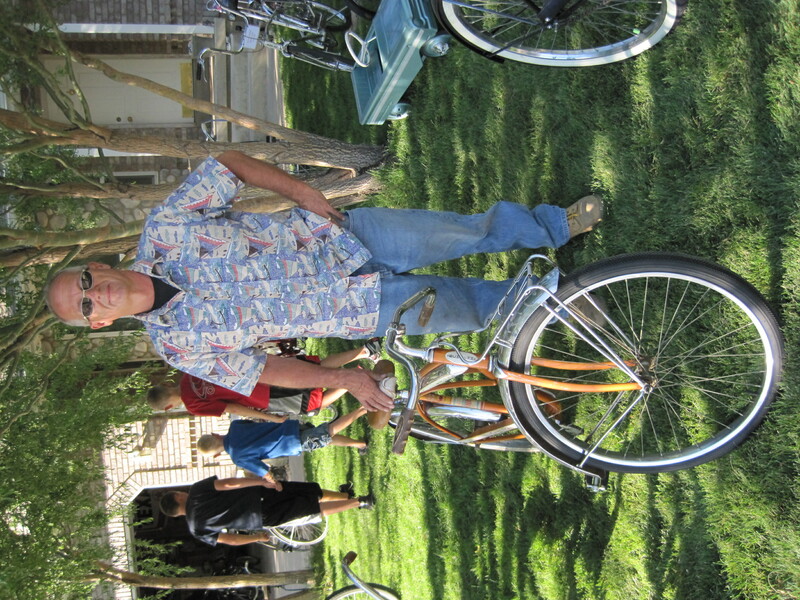 The event was put on by David Davis, a bike-enthusiast that developed a love for restoring older models after receiving his first old bike in a trade with a neighbor. 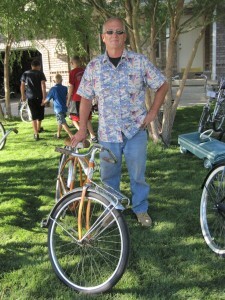 David plans on making the vintage bicycle show a yearly event, with even more amazing bikes next time. If you love all things retro, the bike show is definitely a new tradition to get excited about! This entry was posted in Local Biking Events and tagged bike show, bike swap meet, retro bicycles, vintage bicycles by Jamie. Bookmark the permalink. Man wish I could have been there. This looked great! Thanks for the report.